A man is found executed on a piece of wasteland in Greenborough town. The cold-blooded murder triggers terrible memories for DS Joseph Easter. Just when things seemed to be going well for DS Easter, he realizes that the nightmare is coming back, threatening his career, his sanity, and maybe his life. In a breath-taking conclusion, even Nikki begins to doubt DS Easter as he faces a race against time to save someone very close to him. The location is atmospheric and the methods of the crimes are unique. Love the characters and the narrator is great with voices and accents. What is it about British police detective stories? Especially when the stories are set in small towns. The DI with a history of not working well with others finally was assigned a Sergeant in the last book. They actually got along. This book picks up after Ds Easter is injured in the line of duty. 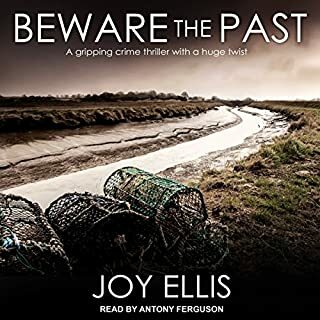 The characters are well written, dialogue is good, and the audiobook narration is wonderful. I kinda sorta had the ending figured out but then there was another twist. Delightfully wicked! I can't wait to read the next book. This is a great series. To say that this book had many twists and turns would be a great understatement. 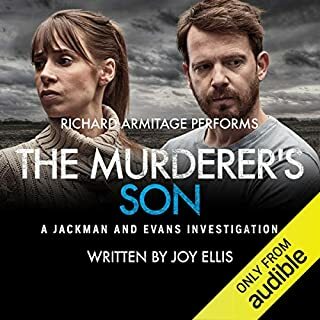 I thoroughly enjoyed this audiobook, both the author and the narrator were excellent, and I'm anxiously waiting for the next in the series. I highly recommend this series. Joy Ellis has a very interesting ability to write. I enjoyed this second entry in the series and liked getting to know DI Galena and DS Easter better. However, the central murders (with a blast for Easter's special ops past) was far-fetched and strained credulity. 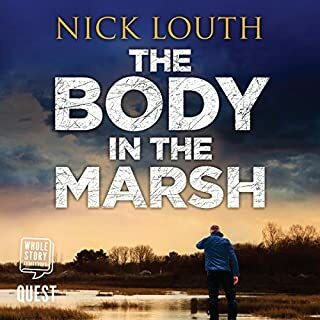 The characters were engaging enough that I will give the third book a try, but the setting (in the fens, in a smaller town) make elaborate plots awkward and jarring. I hope the rest of the series continues to develop these partners, but pairs them up with more plausible crimes to solve. 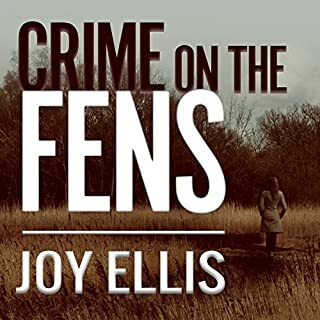 Having lived in the UK for some time years ago it strikes me that many readers will not know about the Fens mentioned in the title of Crime on the Fens. The Fens, also called Fenland, is a below sea level portion of eastern coastal England. It is located in County Essex about 50 miles northeast of London. Like coastal Holland (The Netherlands) it was reclaimed from the sea many centuries ago and it is protected by dikes from the waters of the southern portion of the North Sea. Fenland is the same latitude as Rotterdam. Protagonist Detective Inspector Nikki Galena is a tough cop. This is a serial murder mystery. Detective Sergeant Joseph Easter, a cop with his own issues, is in deep trouble with Galena's up the line bosses while Nikki believes he is very good and struggles to protect him. Narration by actress Henrietta Meire is outstanding. Her Essex accent is so good that it must be genuine. The Essex accent is more clipped than most English regional accents and can be more difficult for Americans to understand. I enjoyed book one in the series and was impressed with Joy Ellis’ writing. Therefore, I gave book two a try. The story is set in Lincolnshire Fens. It is an area of open skies, marshes, farmland and nature reserves. It is a difficult area for the Fenland constabulary to police because of the distances and dangerous misty roads. Detective Nikki Galena and DS Joseph Easter are teamed up again. Nikki’s neighbor had suddenly committed suicide, or maybe it was murder. Then a man is found executed near Greenborough are the two deaths related? DS Easter might have a stalker. Galena and team must solve the crimes to save DS Easter’s life and career. The book is well written. The plot is interesting and twists and turns allowing suspense to build to a surprising ending. Ellis continues to build the key characters in this story. She focuses on Easter and Nikki’s boss. I am enjoying the setting of the book. The Fens sound so beautiful. This story is not as good as book one, but it is still enjoyable. Looking forward to the next book. It is about seven and half hours long. Henrietta Meire does a great job narrating the book. She also narrated book one. Det. Sgt. Joseph Easter is recovered from his injuries, returned to duty, and now a permanent part of DI Nikki Galena's team. 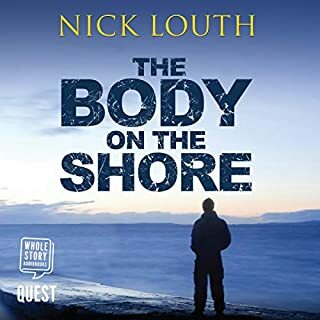 Unfortunately, his first day back on the job includes the apparent suicide of Nikki's friend and neighbor, and a brief encounter with a man he's sure is a nightmare figure from his past. It's not long before bodies start turning up, killed execution-style, and all bearing a strong resemblance to Easter's hated former fellow special forces soldier, Billy Sweet--a man only Joseph says he's seen in the area. There's a serial killer in the area, and the gradually starts to seem that Joseph Easter is either the ultimate target, or something worse. Meanwhile, it quickly becomes clear that there's something seriously wrong about the death of Nikki's neighbor Martin's death. It's not just that there's no evident reason for his suicide. He turns out to have been high on a ganger oyster hallucinogen that he had no apparent access to. The cancer clinic that has been monitoring his condition for any return of his cancer for years claims never to have heard of him. And he was, years ago, involved in a clinical trial. Two other members of the trial have also died in strange circumstances. Two big, peculiar, dangerous, unrelated cases at the same time. It's so obvious there's no connection between Easter's serial killer and an odd cluster of apparent suicides that no one questions it. We see both the newly returned Joseph Easter and the newly somewhat reformed Nikki Galena's under extreme pressure, and newly reconstituted team they lead responding to the pressure along with them. It's an interesting plot, but also good characters continuing to grow and change. To me, Ellis has good, solid writing skill, some interesting plot ideas and a good sense of momentum and action. I thought the first book in this series was better. I think she's new to the writing arena and still learning about plotting; I could see the evil doers from the start and there were some other places the plotting was awkward. I love her descriptions of the fens and she does give her characters some depth. I didn't like that in this one she introduced a horror aspect. The first one was just a good mystery. And, for me, she has her main characters spend too much time in miserable ruminations. Some of this is good - for depth but too much just drags down an interesting mystery. Ellis is maybe deciding if she writes mystery or horror-thrillers. I'll probably listen to the third one to find out. This the second book that I have read in this series and I have found both books intriguing. What made the experience of listening to Shadow over the Fens the most enjoyable? Ms Meire's performance of Nikki and Ms Ellis's character development combined to make Nikki a believable and respected woman of strength and intelligence. What was one of the most memorable moments of Shadow over the Fens? The description of the tour up the tower and the sudden appearance of the frightening and frightened Martin as he threw himself from the tower was a true vision in words. A vision that lingered in my mind for longer than I expected. What does Henrietta Meire bring to the story that you wouldn’t experience if you just read the book? Her vocal representation of Nikki gave the character depth and believability. I appreciated Nikki 's dry sense of humor! Her witty asides and sardonic pronouncements often made me laugh out loud. I was disappointed in how Joseph's character was written around Billy Sweet. I don't think a seasoned military professional and law enforcement veteran would have reacted in such a pitifully childish manner when seeing Billy Sweet. I think Joseph is made of stronger stuff. Total landslide. Lancashire isn't Lincolnshire. More trouble at mill than fenland. In fact nothing fen at all in this mediocre reading. To not know how to pronounce Gallipoli is one thing but to say a Wayne smile instead of wan? Countless stupid mistakes ruined the reading. Too many to highlight here. At every one my thread of the story broke. Will have to be careful to avoid her reading again. The narrator ‘accents’ and different voices are grating, which unfortunately took away from a good mystery. The story wasn’t bad but female voices were high pitched to the point of having to turn the volume down. Accents OMG! Can’t describe how awful. The book and story are really good. But the readers accent, why has a person been given the job to read a book set in the Fens who gives all the people in it northern accents. It’s most off putting. I liked the story and the characters, my problem is the narrator’s accent and pronunciation. I really cringed at some common words (place names, eg Gallipoli) and several ordinary words being spoken as though by someone reading but who had never heard the word before. Very off putting to a pedant like me. The accent is one I’ve never heard before, and I’ve lived in the East Midlands. Very odd and guttural. Spoiled it a bit for me. Another great thriller. Nickie & Joseph make a great team. I have already downloaded the next book. The Narrator is also excellent. Already one of my favourite authors. Another good read from Joy Ellis, I am enjoying the Nicky Galena series. I wasn't sure about the narrator at first but I found her better with the second book. I’ve read a number if Joy Ellis books and like to hear the goings on of Nikki Galena and Joseph Easter and the team. Still getting used to audio books as opposed to reading the story myself and the accents given to the various harassers by the narrator. I really like this authors books. The book is full of really likeable characters, and some truely bad ones. I couldn't stop listening to it. What a brilliant, nail biting story. The narration is spot on and you can alnost picture the characters. I kept saying, ‘please don’t let it be her’, all through the early/middle part of the story. Then I changed it to, ‘please don’t let him get hurt’, during the ending third of the story. I was completely unsure how the seemingly two separate stories could possibly be connected. 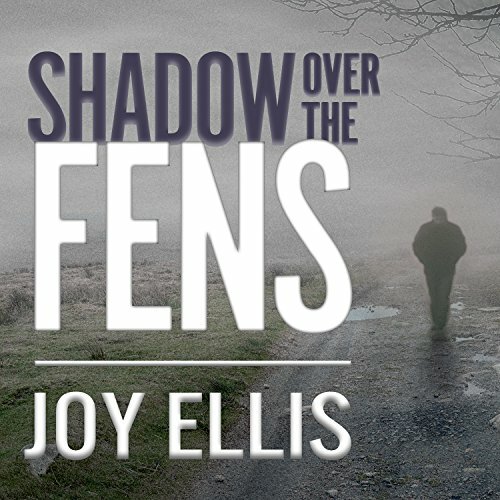 Joy Ellis has constructed a superb plot that comes together in an unexpected way at the end. The relationship between DI Nikki Galena and DS Joseph Easter continues to develop. They have definitely moved from colleagues to friends. The rest of the team are showing great loyalty and real interest in the welfare of their superiors. I was pleased that DC Cat’s voice was less teen like and therefore less annoying to listen to. A great crime fiction series. Good amount of intrigue and very likable characters. I’m really enjoying this series. Starts slowly then builds up to unputdownable relentlessness. And you'll never guess the ending! I'd put a quid or two on that. Oops! Finished it in 2 days ... Was supposed to be for the commute to work & home.